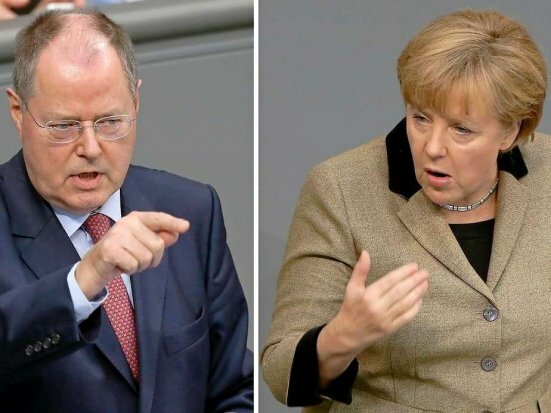 Home Tags Posts tagged with "tv debate"
German Chancellor Angela Merkel and her poll rival, centre-left Peer Steinbrueck, are due to take part in their only televised election debate. The event is seen as the Social Democrat (SPD) leader’s biggest chance to claw back Angela Merkel’s lead in the opinion polls before this month’s vote. Although Angela Merkel’s conservative bloc is expected to win, her coalition partners are faring poorly. 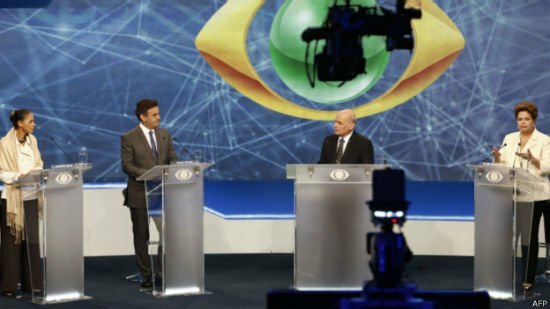 The 90-minute debate starts at 18:30 GMT and will be aired on main channels. 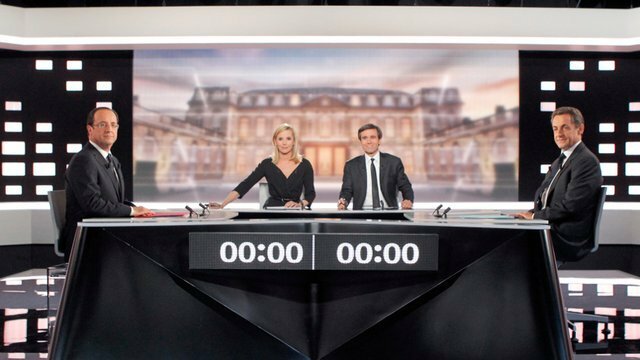 With three weeks to go before the September 22 vote, the two candidates will be grilled by four journalists before an estimated TV audience of up to 20 million. Peer Steinbrueck will face the first question and Angela Merkel will have the final answer, with each answer limited to 90 seconds. So far, there have been few campaign issues that have exposed major policy differences between the two figures and the parties have focused on their personalities. Peer Steinbrueck is often witty but prone to gaffes, while Angela Merkel often seems less than comfortable in the cut and thrust of live debate. The TV duel may shift enough opinion to alter the election result. Peer Steinbrueck, 66, served as finance minister under Chancellor Angela Merkel when his SPD party was in a “grand” coalition with her Christian Democrat (CDU) after the 2005 election. But he has refused to enter a similar power-sharing deal. The pro-business Free Democrats (FDP), currently part of the coalition, are widely expected to perform badly in the polls. However, an opinion poll on Friday gave Angela Merkel’s conservative bloc 41% of the vote, which might enable her to stay in power with the FDP. Peer Steinbrueck’s Social Democrats were trailing on 26%. If Peer Steinbrueck does narrow the gap, Angela Merkel, 59, is likely to remain chancellor but the two parties would be forced to consider rebuilding a coalition. 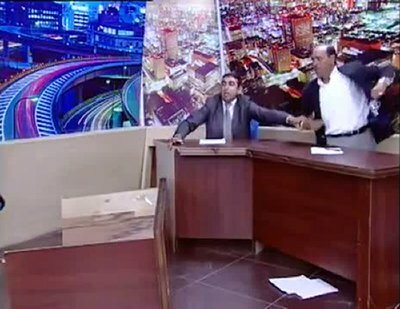 Jordanian MP Mohammad Shawabka threw one of his shoes at political opponent Mansour Sayf al-Din Murad during a television debate before pulling a gun on him. The incident occurred after the debate between MP Mohammad Shawabka and political activist Mansour Sayf al-Din Murad on the private satellite channel Jo Sat became heated, with the pair trading insults. Mansour Sayf al-Din Murad stood up and began shouting at the activist. The host, Mohammad Habashneh, who was sitting between them, urged his guests to “calm down”. But the MP took off his right shoe and threw it before pulling out a silver pistol and pointing it at the activist. The opponents left their seats and tussled with one another while the host tried to separate them. The two men continued to struggle as the show ended and the credits ran.